Emerald Hills is a special place in the Camden Valley area. As the highest land of Camden’s new addresses, its undulating hills ensure homes enjoy views out to the Blue Mountains to the west and the Scenic Hills to the east. Emerald Hills is a unique neighbourhood in a special position, marked by preserved woodlands and ridge top parks and reinforced by the adjoining Camden Lakeside Country Club being remodeled by Greg Norman. Emerald Hills is just 3-4 minutes from Leppington’s new railway station and the M5 Motorway, with their fast links to the city. Major centres nearby are reached in minutes, with excellent local bus and public transport networks. The future Leppington Town Centre will almost be on your doorstep and Narellan Town Centre is just down the road. 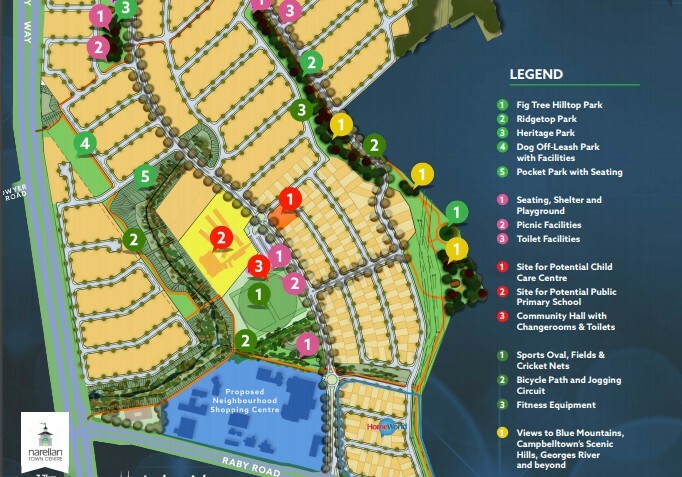 Community facilities such as a public primary school, local shops, community centre, sports oval, neighbourhood parks and open spaces will complete Emerald Hills as an address of the highest standard. Parks and sporting fields will be linked by a network of cycleways and walking paths, which also lead to natural bushland, inviting residents to actively enjoy nature right on their doorstep.